I think Easter is a time of lovely change. There is the change in seasons, and at last the indulgence of a change of fashion. But it's always so difficult to know what to wear! And this year has been really difficult, the weather has been so changeable and so mild and so rainy that it has been quite a problem. And also, Easter is so early this year! We don't even know what the weather will be like then, it could be lovely, or it could be awful! But this shouldn't stop you from planning Easter parties, and wearing lovely Spring outfits to all your Easter events. The sight of the uniform of quilted grey coats with hoods is so depressing. They might be practical and warm, but they are so utilitarian, and without any spark of individually, or personality. The time really has come to be brave and to get rid of those leggings and wrap around woollen scarfs and woolly hats. It's time for a bit of vintage glamour, girls! If you are feeling cold, vintage layers are the answer. Tank tops are very popular, and there are so many lovely vintage cardigans one can wear over a dress for extra warmth. Wear a delicious vintage silk scarf and cloche hat decorated with a sparkly vintage brooch, if really feel you need to wear a scarf and hat. What sort of vintage look are you going to have for Easter, now that you have banished your woolly cap to the back of the wardrobe? It's time to show off your hairstyle, girls, and let your personality and individuality shine through. Long loose hair looks so lovely with a vintage dress, but there is also a simple elegance to wearing a loose top knot secured with pretty vintage hair grips. You could even try wearing a pretty brooch in your hair, on your hair tie, or on a ribbon as a hairband. 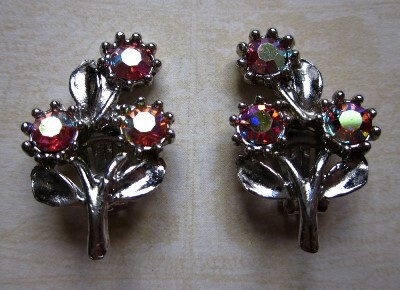 Or use clip on earrings, if you find a brooch too fiddly. But just wearing earrings as earrings is a lovely look, and with your hair up they can really show off your style. Vintage clothing can be so pretty and stylish that you need a lovely hairstyle to finish off the look, and for an Easter party it is fun to dress your hair in a vintage style. But if there is another sudden change in the weather, a sudden cold snap, you can still wear your pretty flowery dress under a thick Winter coat, and indulge in your glamorous vintage hairstyle. There are so many ways to enjoy an Easter party. Look online at all the Easter things available. There are vintage style Easter eggs, vintage Easter bunting and such cute, sweet little fluffy yellow chicks' decorations to bring extra charm and fun to your vintage Easter. And no, Easter indulgence isn't just for children! We can enjoy it as well, girls. Invite your friends for an Easter tea, and indulge in Easter foods, like Easter biscuits, hot cross buns, simnel cake and make little chocolate cornflake nests for tiny Easter eggs. You can have lots of daffodils and other spring flowers in vintage vases and show off your pretty flowery table clothes and napkins. Use your pretty vintage china to complete the look. Don't forget the Easter egg hunt! 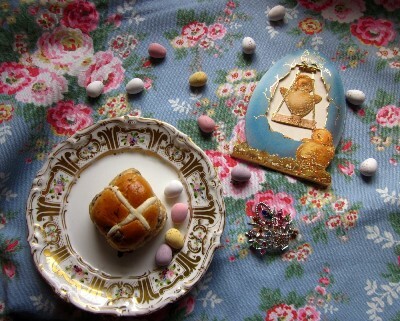 And even though it is really hunt the lovely chocolate Easter egg, it would also be a gorgeous surprise to have a piece of vintage jewellery to search for as well as chocolate Easter eggs. Now we have the delicious anticipation of looking forward to bright sunshine and trees in flower after such a long, grey winter. 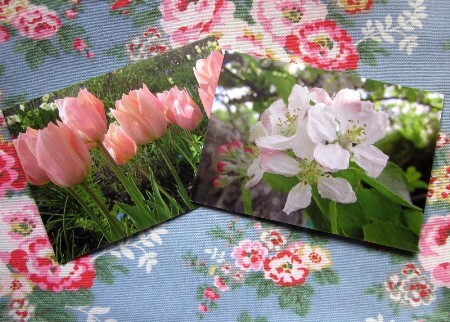 Take the trouble to look around and enjoy all the lovely bright spring flowers. Let your clothes reflect the beginning of the happy sunshine season. 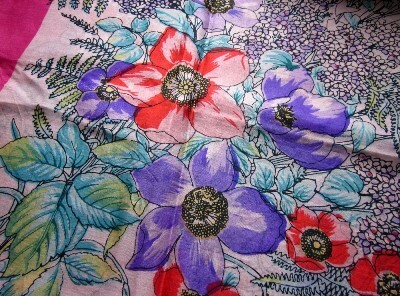 It is time, girls, to start to wear your pretty flowery vintage dresses. It is time to look forward to Easter.